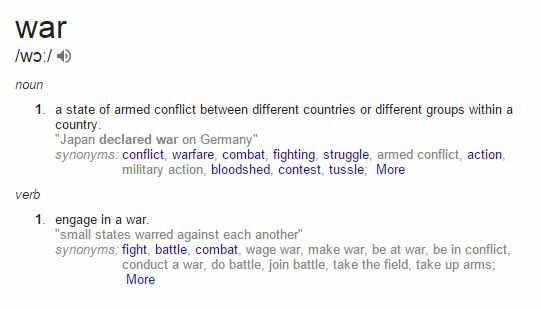 A state of armed conflict between different countries or different groups within a country. Now let’s take a look, is Sony capable of performing cyber war activities which have the same impact like the Stuxnet virus? I guess not, now are the aggressors of Sony capable of performing such an attack like in the Stuxnet case? Maybe, but they decided not to do such an attack. The United States had to open their big mouth again and they started barking in all the directions. Sony was “able” to identify the aggressor within a very small time window but it was NOT ABLE to stop the attack within a small time window – NOW THAT IS WEIRD. Does Sony explicitly look at their security environment after a breach has happened? If yes, how the @!#@! are they able to identify the aggressor in such a small time window? (Rhetorical question).